Sam Loyd puzzle thread on Metafilter: always reminds me of reading Martin Gardner who published a lot of Sam’s puzzles. 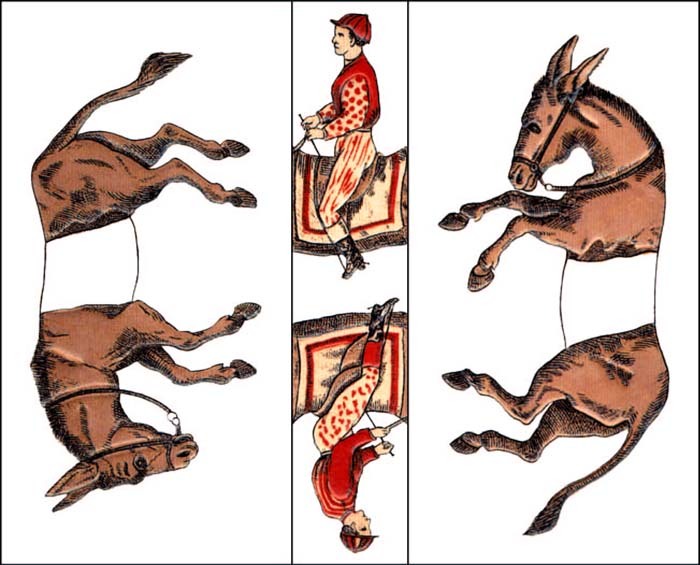 The thread on MeFi points to the famous Trick Mule puzzle, the idea being to get the jockeys to both properly sit atop a mule. You can also try it out in Shockwave. 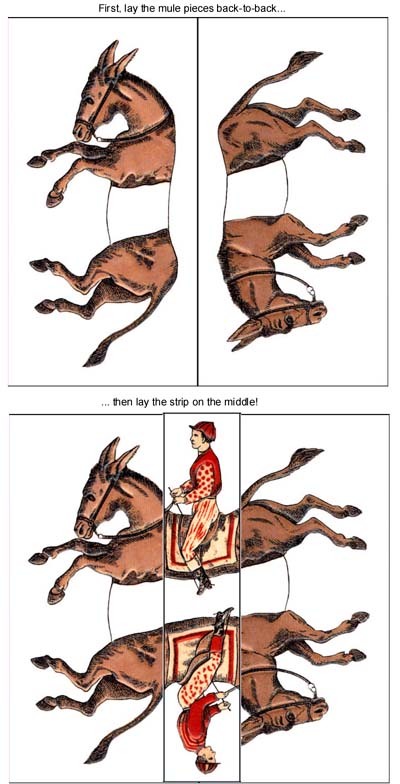 And if your really stuck check the solution. There are also links to the other fairly well know Loyd puzzle entitled Get off the Earth where one of the chinamen seemingly vanishes, you can also see this as a flash movie.